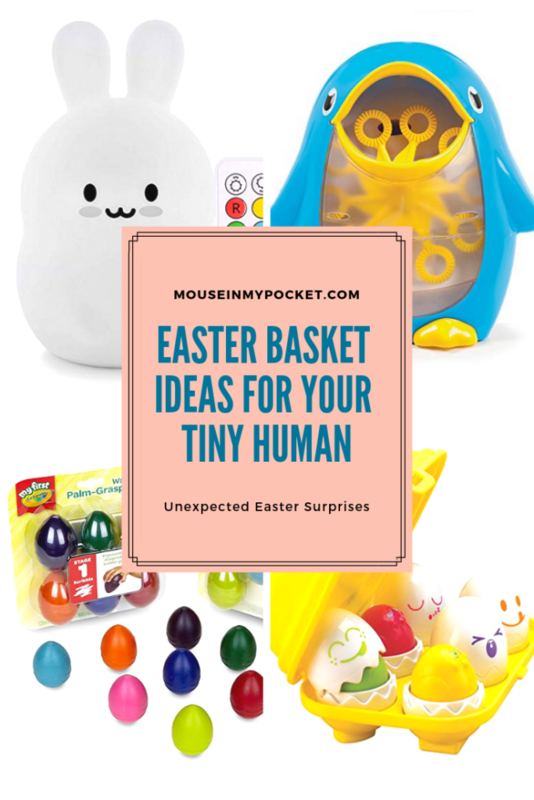 Tiny humans can be lots of fun to shop for, but sometimes you just don’t have the time, so here are some Milli approved ideas for your toddler’s Easter Basket. 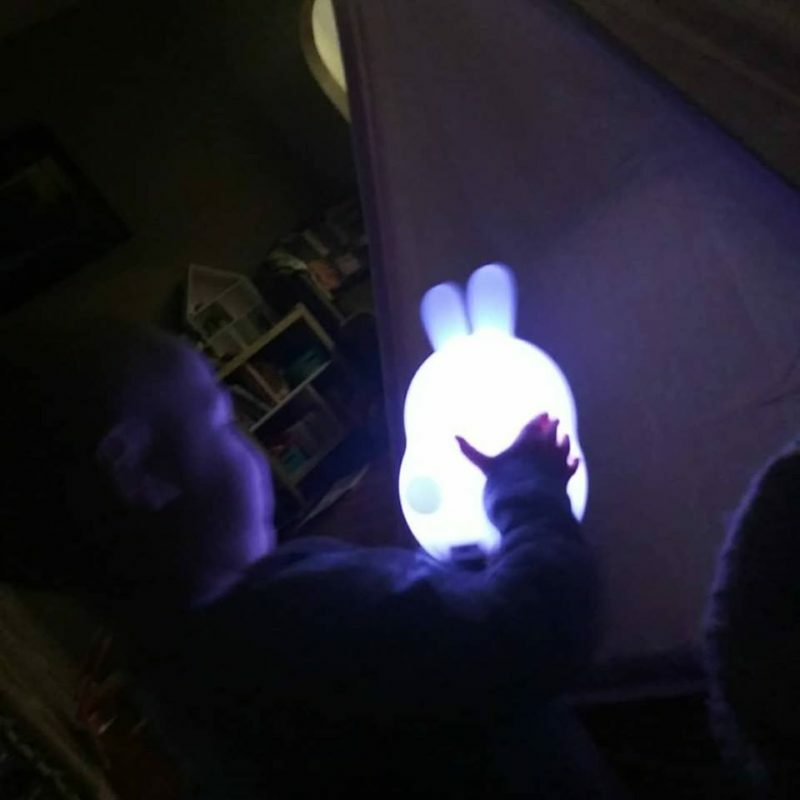 I recently order this cute little bunny light for Mil’s Easter basket, but her daddy beat me to the box and went ahead and gave it to her. 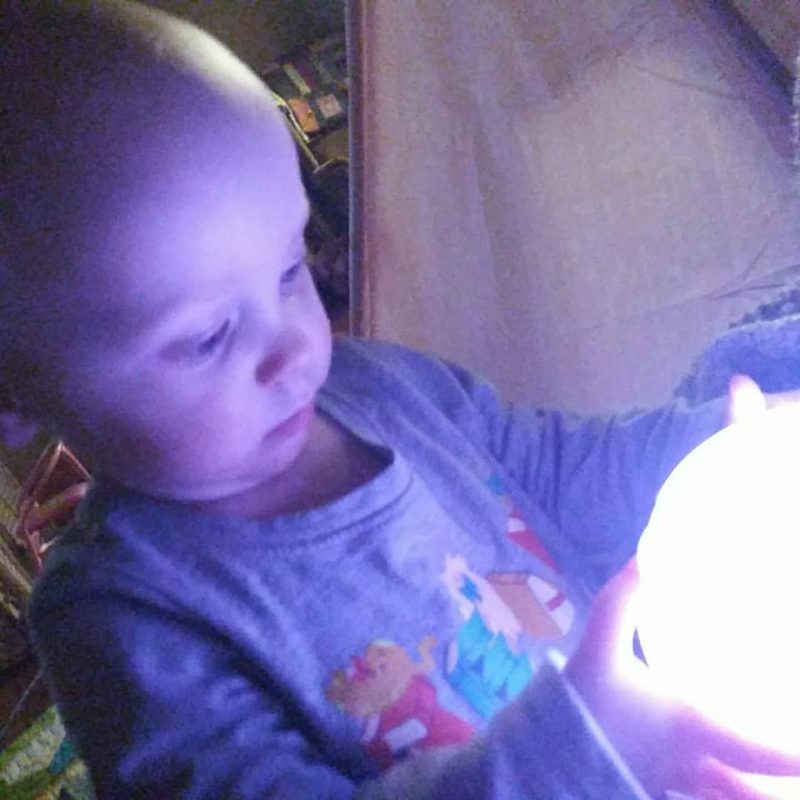 That means that I can tell you that this light is already well-loved by our little girl. The outside of the light is super squishy, and tapping it can change the amount of light and color settings, so Milli has enjoyed just sitting with it and watching the lights change. You can also find these in a variety of other animals, if bunnies aren’t for you. Skip the traditional, candy-filled eggs for your toddler and get them a fun set of sorting eggs for Easter. 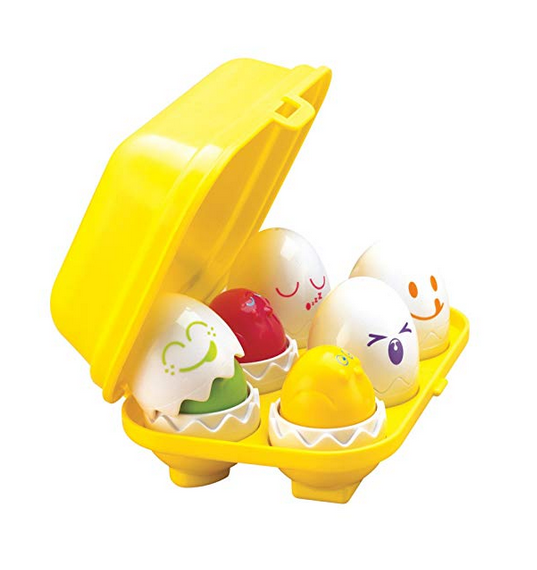 At our house, we love this set of TOMY Toomies Hide-and-Squeak Eggs. The bottom of each egg fits into a specific shaped slot in the egg carton, and each egg has a colorful funny face, which you can match to the colorful interior of the eggs. Plus, they squeak when you press down on the insides. These eggs have been a well-loved toy at our house. 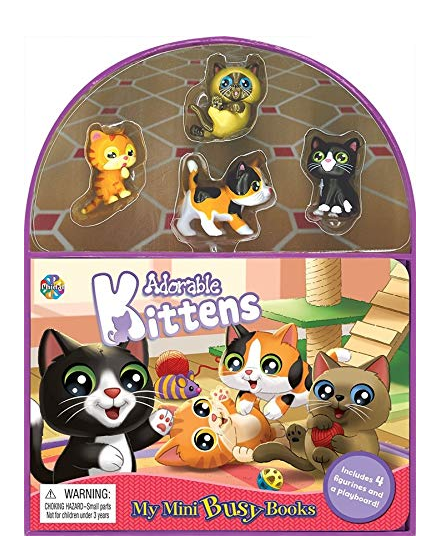 Mil uses them in her play kitchen, and also plays with them by themselves. Toddlers seem to love bubbles. Mine isn’t quite capable of blowing them herself yet, and, at 2-years-old, I wouldn’t trust her with the bubble solution yet, anyway. That makes a bubble machine to perfect solution. Mil loved to watch bubbles from a bubble machine before she could even get up and crawl, but now she’s big enough to chase them around the yard. If you have the space, consider adding a fun bubble machine to your Easter basket for outdoor play. My tiny human LOVES to color on things, so we don’t let her near writing utensils unattended, but I also want to spur her creativity, which is why I love the large egg-shaped crayons from Crayola. They’re easy for little hands to hold, washable, and much harder to eat than your regular crayon. Of course, for the warmer season, you might also consider some of the (also washable) giant sidewalk chalk. Just because it’s getting warm, and you’re tiny human will be playing outside more doesn’t mean that they won’t want to have some fun toy cars. 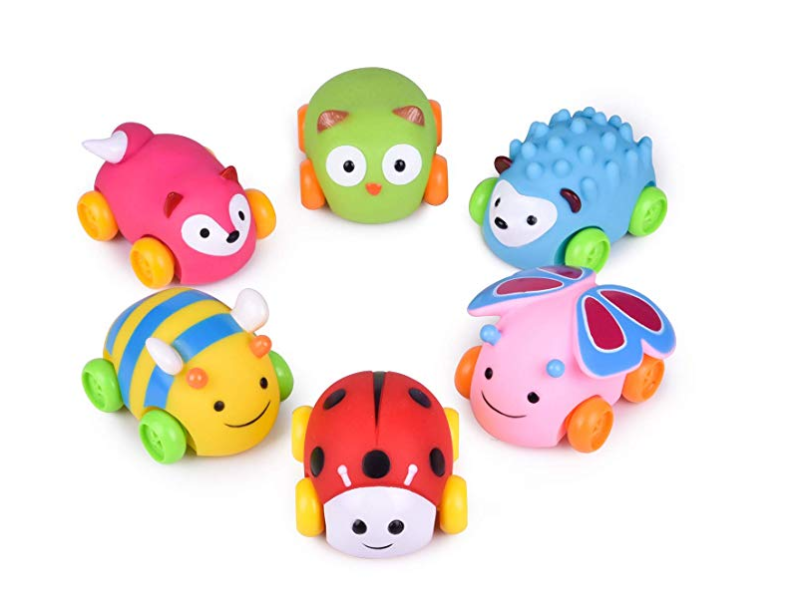 I particularly like this set of 6, because the cars are a nice soft silicone and can be played with in the bath or baby pool. These cars are also small enough to fit in the large 4.75″ eggs. 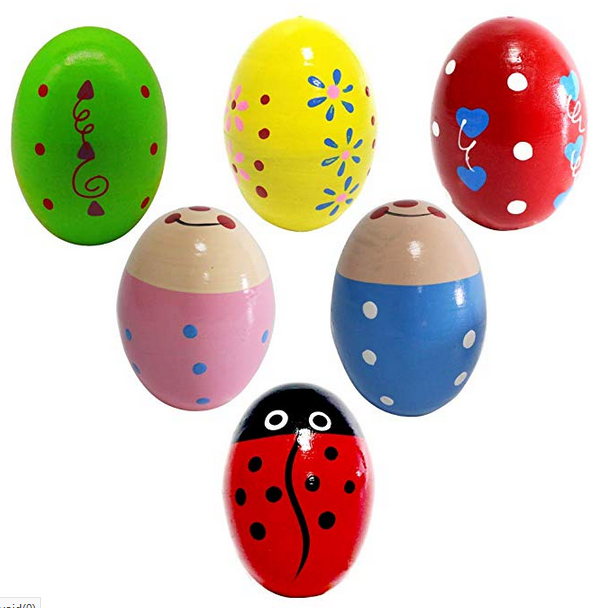 If your little one likes toys that make noise, consider picking up a set of maracas shaker eggs. 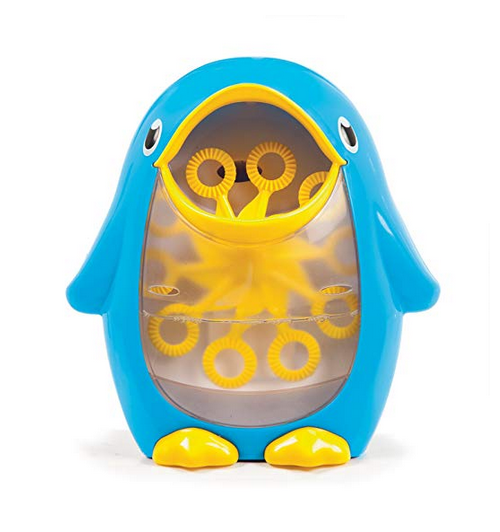 They come in fun bright colors and are a great musical instrument for small hands. For your slightly older toddler (the one who is not sticking everything they play with in their mouth), Play-Doh is a great toy to help build creativity. 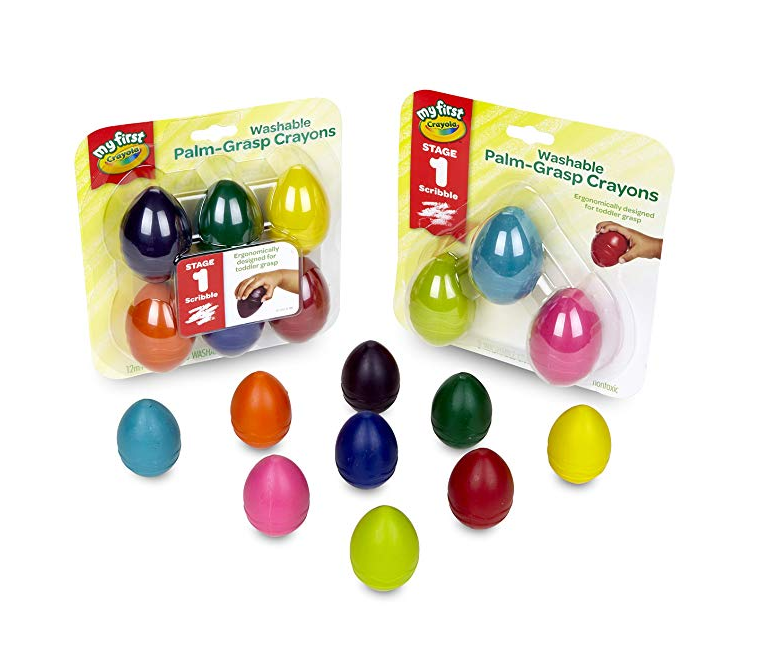 And for the Easter season, you can even get these cool Play-Doh Eggs. 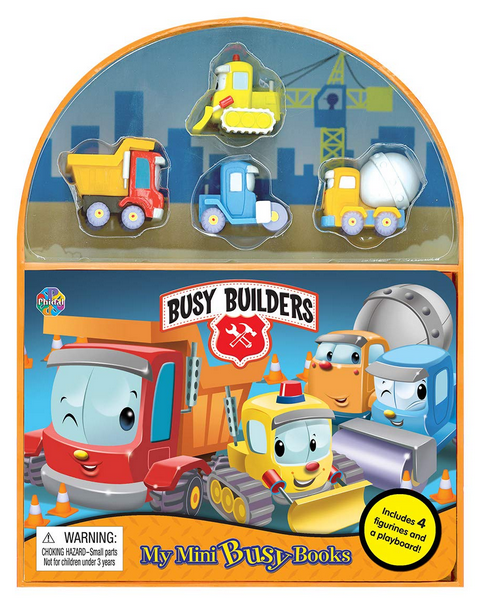 I recently discovered that the people who make Busy Books also make MINI Busy Books, so if you aren’t quite comfortable with your child playing with the small characters in the regular busy book sets, take a look at the Mini Busy Books instead. 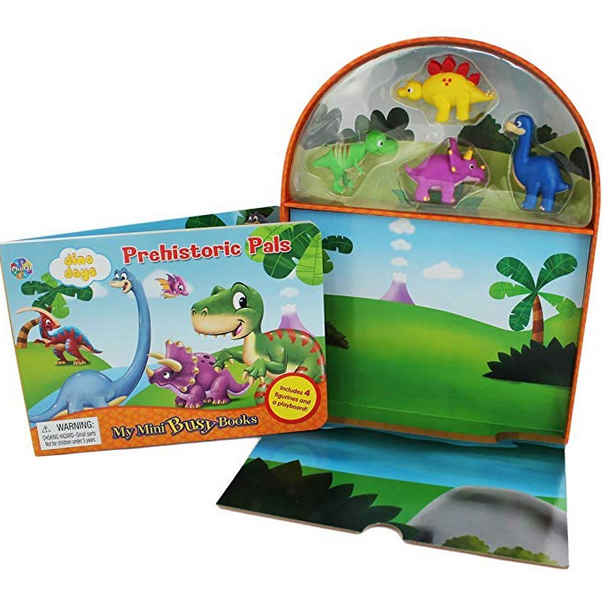 Each of the books comes with a board book, play figurines, and a fold out play mat. What do you just have to have for your toddler’s Easter basket this year? I’d love to know. Share your ideas in the comments.